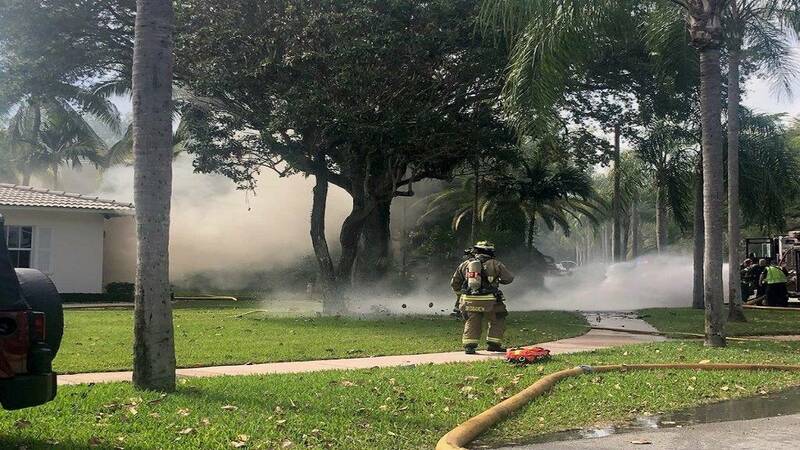 CORAL GABLES, Fla. - One person suffered burns Wednesday afternoon in a house fire in Coral Gables, authorities said. The fire was reported in the 800 block of South Greenway Drive. According to a Coral Gables Fire Rescue representative, a mechanic was working on a car in the garage of the home when an explosion occurred. Authorities said the garage was engulfed in flames and smoke. Firefighters extinguished the flames and the victim was taken to Jackson Memorial Hospital's Ryder Trauma Center for treatment.